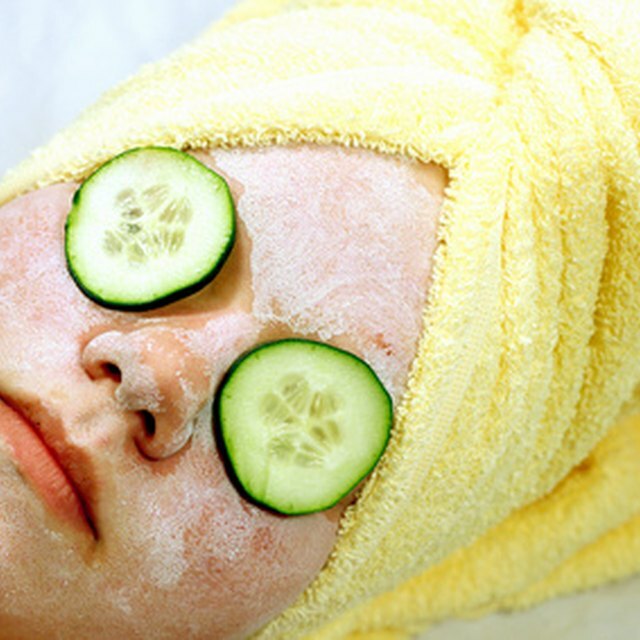 How to Make a Firming Facial Mask. While the fancy creams found in the beauty supply section of your local department store no doubt can do a great deal to treat mature, aging skin, some of the best skin care ingredients reside in your kitchen cupboards. For an instant skin firming effect, whip up a batch of your own homemade firming facial mask. Crack a large organic egg and carefully separate the white from the yolk. Discard the yolk and place the egg white into a small mixing bowl. Add 1 tbsp. of raw honey and 1 tsp. of extra virgin olive oil to the egg whites and mix with a fork until thoroughly blended. Finally, slowly add 1 tsp. at a time of powdered milk to the mixture and stir with the fork until it creates an even paste. Wash your face with warm water and a mild facial soap before you apply your firming facial mask. For best results, steam your face after cleansing and before applying the facial. Simply cover your head with a large towel and drape yourself over a pot of steaming water for about 5 minutes. Apply the mask evenly to your face and neck and then leave until the firming facial mask is completely dry. Rinse with warm water and pat your skin dry.